Imam made a cultured 86 off 101 balls and Hafeez hit an unbeaten 71 off 63 deliveries as Pakistan chased down a target of 267. 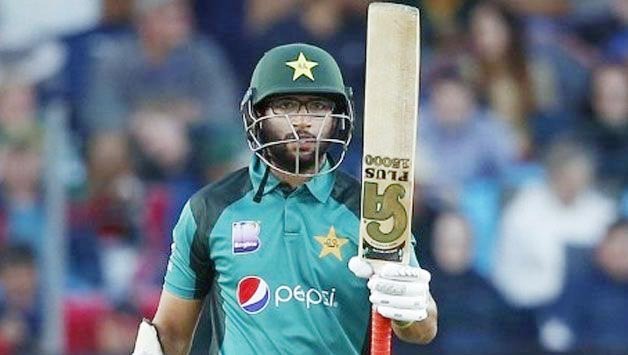 Imam-ul-Haq and Mohammad Hafeez set up a five-wicket win for Pakistan in the first one-day international against South Africa at St George’s Park on Saturday. The left-handed Imam made a cultured 86 off 101 balls and Hafeez hit an unbeaten 71 off 63 deliveries as Pakistan chased down a target of 267 with five balls to spare. Hashim Amla‘s 27th one-day international century was not enough for South Africa, who lost only two wickets in scoring 266 runs after winning the toss. Pakistan’s bowlers deserved credit for their team’s win, which came after the tourists were well-beaten in all three Test matches. Hafeez said an aggressive opening stand of 45 off 50 balls by Imam and Fakhar Zaman had given Pakistan momentum which was continued during the partnership between Imam and Azam. Seamer Hasan Ali and legspinner Shadab Khan were the best Pakistan bowlers and the only two who bowled their full quota of ten overs, taking one for 42 and one for 41 respectively. Amla and Reeza Hendricks (45) put on 82 off 105 balls for the first wicket before Van der Dussen made a slow start in his first one-day international, taking ten balls to score his first run. Van der Dussen gained confidence as he hit six fours and three sixes in a 101-ball innings before hitting a full toss from Hasan to long-off in the 47th over. Amla made his runs off 120 balls with seven fours and a six. Brief scores: Pakistan 267/5 in 49.1 overs (Imam-ul-Haq 86, Mohammad Hafeez 71*; Duanne Olivier 2-73) beat South Africa 266/2 in 50 overs (Hashim Amla 108*, Rassie van der Dussen 93; Shadab Khan 1-41) by five wickets.